Stanley A. Kempner Jr. Attorney at Law has dedicated his life to helping Washington families navigate the myriad challenges associated with family law matters. If you and those you love most are currently grappling with a case involving divorce, custody, alimony, paternity and/or visitation rights, schedule an appointment with Mr. Kempner as soon as possible. The relationship you thought would stand the test of time has ended, and, frankly, you’re at a loss as to what comes next. 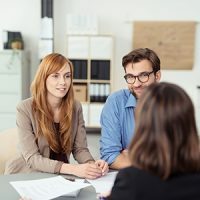 Questions concerning the future of your children, which assets are yours to keep and how much alimony may be required are as important as they are difficult. Fortunately, attorney Stanley A. Kempner Jr. is here to help. When it comes to establishing a child custody arrangement, Washington State judges will weigh the best interests of your child above all other considerations. The child’s current quality of life and relationships with each party will loom large in whatever decision the judge renders. Bolster your case for custody by working alongside an experienced family law attorney. As you might imagine, establishing a parenting plan that works for each party can prove exceedingly difficult. By working with a knowledgeable, compassionate family lawyer, you’ll better your chances at obtaining a favorable outcome, one that takes into consideration your needs and those of your child. Call now for more information. There’s absolutely nothing wrong with needing financial assistance following a divorce. In fact, it’s normal. Don’t let a contentious divorce proceeding prevent you from pursuing what is rightfully yours. Having represented Spokane families since 1987, attorney Stanley A. Kempner Jr. knows what it takes to help you and your family secure the future you deserve. Life happens. 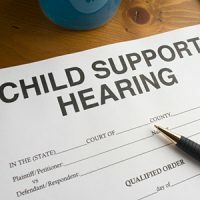 Things which once seemed certain are now anything but, and sometimes that means modifying an existing child custody and/or spousal support arrangement. Keep in mind, however, that there are dangers associated with going it alone. Working with a trusted family law attorney is your best bet at receiving the outcome you desire. 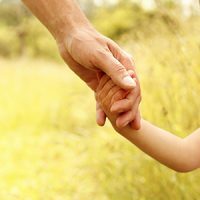 Establishing paternity is not only essential to the relationship you share with your child, but it’s also at the heart of every family law dispute. In other words, without first establishing paternity, cases involving child support and/or custody become wildly complex. Get the help you need by contacting Stanley A. Kempner Jr. Attorney at Law. There are times when it becomes absolutely necessary for one spouse to receive some amount of spousal support (i.e. alimony), in which case it’s best to consult a knowledgeable family lawyer right away. Lacking the income required to raise a child can lead to devastating, long-lasting consequences. Don’t fall behind on your future — schedule your appointment with attorney Stanley A. Kempner Jr. Attorney at Law now. Stanley A. Kempner Jr. Attorney at Law has been defending Spokane families for nearly four decades. 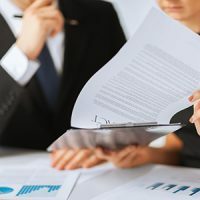 If you and those you love most are currently grappling with a case involving any of the subjects listed above, it’s in your best interests to seek effective, reliable legal representation as soon as you can. Don’t jeopardize your family’s well-being — take action today. Stanley A. Kempner defends Spokane County residents struggling with contentious family law issues. Call (509) 484-1104 for more information. Stanley A. Kempner Jr. Attorney at Law has been helping Spokane County residents with employment and family law issues since 1987. Stanley A. Kempner Jr. Attorney at Law assists Spokane County residents with cases involving family law, including divorce, child custody, visitation and parenting plans, child support, modifications, paternity, and spousal support, as well as those involving employment law, including discrimination, unemployment benefits, sexual harassment, wage/hour disputes, whistleblower actions, severance agreements, wrongful termination, employment agreements, and the Family and Medical Leave Act (FMLA).